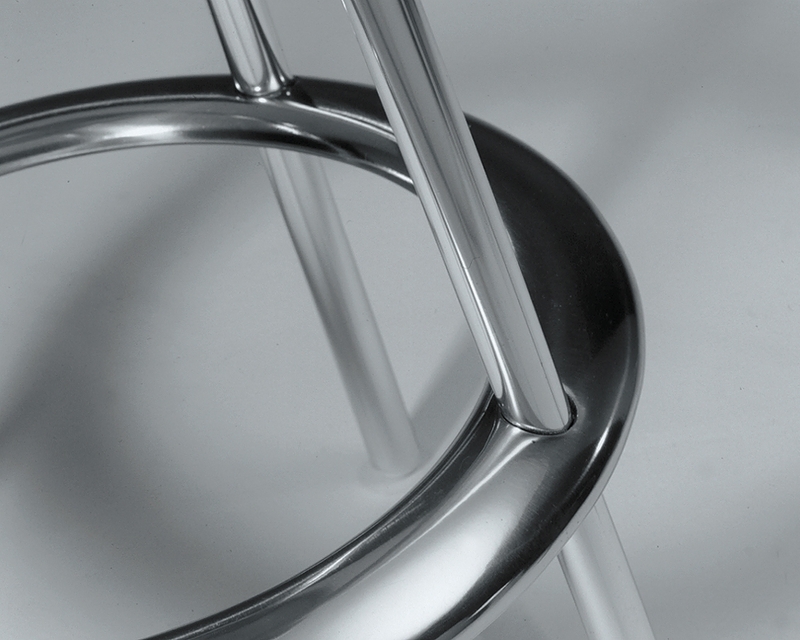 The Aluminium cafe furniture range became iconic for the brand and helped establish the company as one of the UK's foremost design-led contemporary furniture brands. We designed all the elements for cost-effective manufacture and introduced innovative constructional details for hidden fixings. Liaising with sub-contractors, components were sourced and costed. All elements were proven for the client, casting patterns made in-house and enabled pre-production prototypes to be made to exhibition quality. It's all aluminium construction was designed to be 100% recyclable. Contemporary clean lines, and sensual form, matched with engineered detailing are consistent elements throughout the range. Suitable for indoor and exterior applications, the furniture is extremely durable.